Along with Lumia 435, Microsoft also launched Lumia 532 smartphone, also available in Dual SIM variant (Lumia 532 Dual SIM). 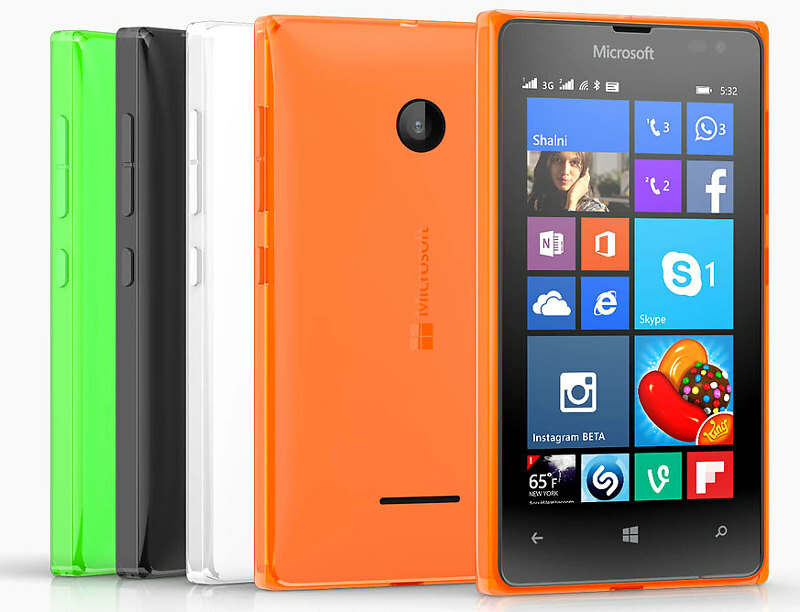 These are the most affordable Lumia phones launched till date. Both Lumia 532 and 532 Dual SIM will be sporting 4 inch display with quad core processor and Windows Phone 8.1 operating system version. Microsoft Lumia 532 and 532 Dual SIM will be available in Bright Orange, White, Black and Bright Green color variants priced at $93 or 79 Euros worldwide. It will be available in selected European countries, Asia Pacific, Middle East and African countries from February 2015.